Have you heard of “Hamosolo”? 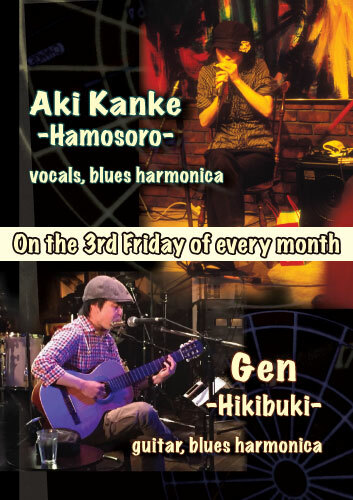 It’s playing harmonica & singing with no backing music and is how Aki describes her style. Slow, shuffle, 8 beat, similar to Jazz…. 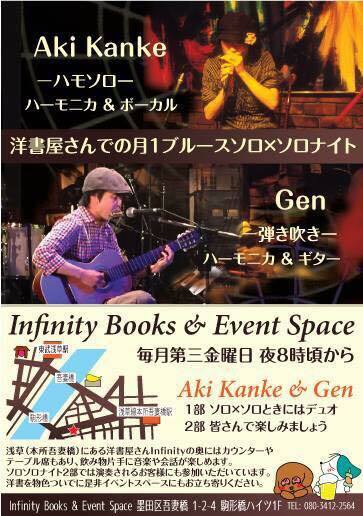 doesn’t matter when or where it’s from Aki plays a wide variety of Blues. 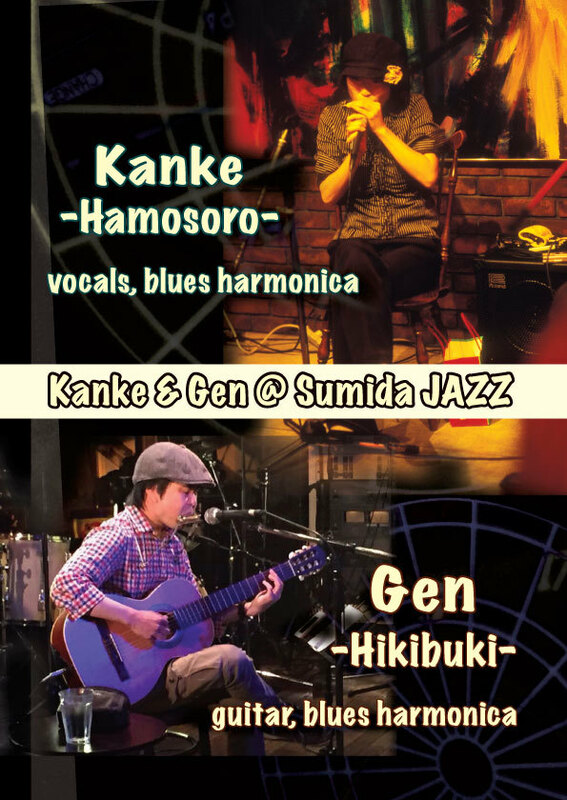 She has performed at Jams, with bands, and at Jazz festivals including the Sumida street Jazz Festival. She also has a talent for illustrations - posters, line stamps, logos - and is interested in art events. If you are also interested in such an event, please let her know. You might assume looking at Gen holding his acoustic guitar with a harmonica in a mouth holder that his play style is like old folk singer and musician. But his unique style of instrumental music is what he likes to call “HikiBuki”or Play & Blow. While he mainly plays traditional music from around the world, he enjoys a wide range of music regardless of the genre. 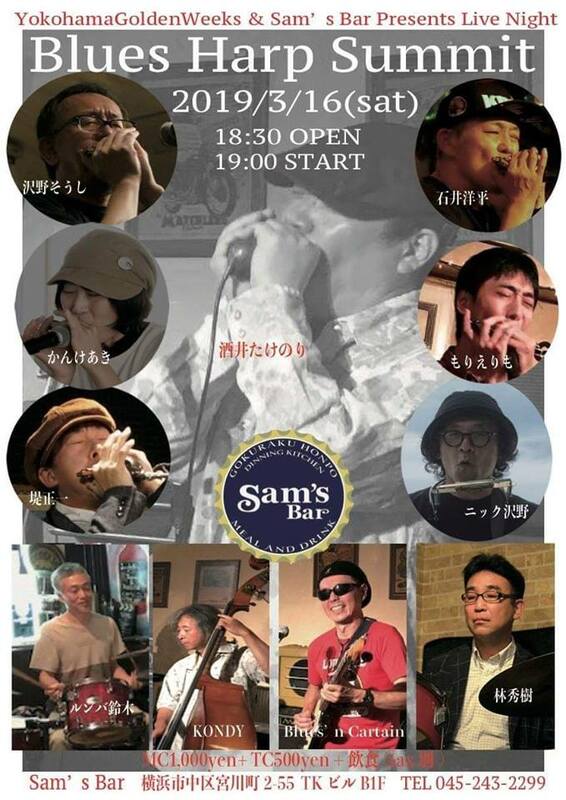 For his unique style he won the award in the Blues and Rock category at the 32nd annual FIH Harmonica Contest held by F.I.H. Japan. He joins jam sessions, plays and sings in bands and also teaches. Buna centre or Japanese Beech tree centre is a local town information centre and museum focusing on research and environmental and cultural conservation work in the surrounding area, located in Tadami town, at the western end of Fukushima prefecture. 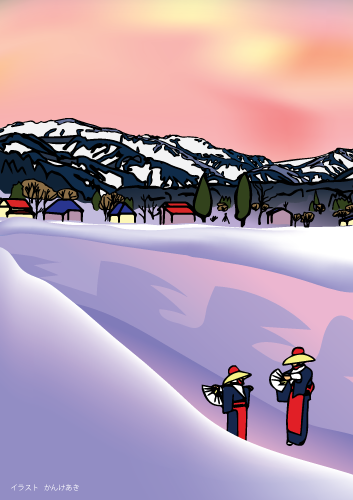 The illustration is introducing Tadami's winter with deep snowfall and Saotome Odori Dance, one of the traditional arts. In winter the mountains display another contrast (from the other seasons) between the deep-green, almost black, of the pines and white of the snow. Sometimes just a picture is worth a thousand words. Saotome Odori Dance, a traditonal dance praying for a good harvest, has been passed down from early Edo Period in Ogawa, Kobayashi and Yanatori area in Tadami. 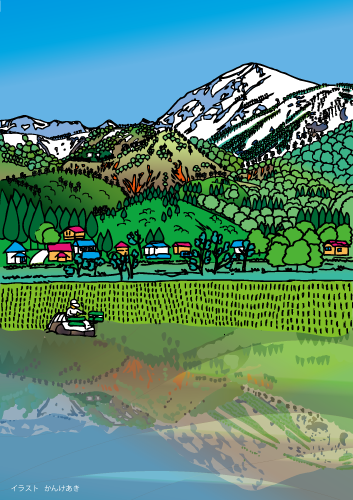 The illustration is describing Tadami's distinctive environment, "Nivation landform" and "mosaic vegetation" formed by heavy snow. 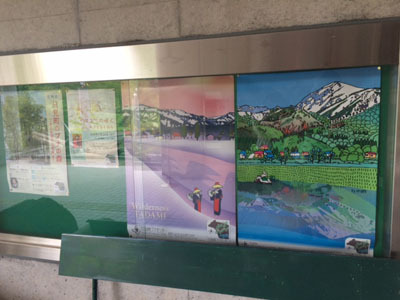 *The illustration below has some changes made when making it as a poster for the Tadami Beech Centre. 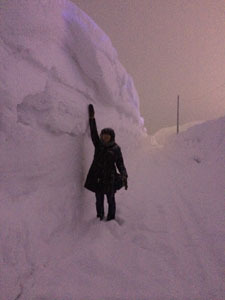 The mountains in deep-snow Tadami-town show avalanche chutes, which are a type of nivation landform. The mountain surface has been eroded by avalanches and has exposed the bedrock. 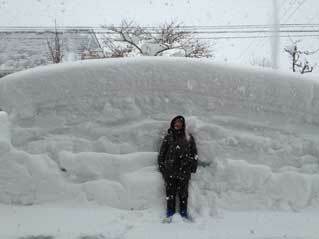 You can see glaciated mountains around the world but it is rare to have mountains like this one formed by snow. 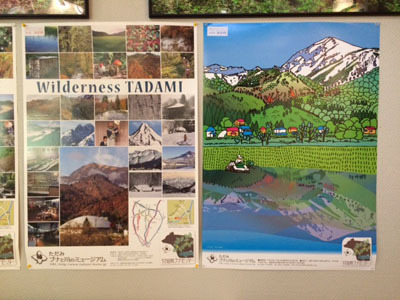 It is a Tadami river watershed feature that such nivation landform comes close to the populated area. This landform creates unique vegetation. Kita-goyou (a type of pine) lines the mountain ridges, and deciduous tall trees such as Buna (Japanese beech) trees grow on moderate slopes. On the avalanche-affected steep slopes, fast-growing herbaceous plants are found as well as short trees which are relatively tolerant to avalanches. In this season, which is before the short trees' leaves grow, the contrast between the deep-green of the pines on the mountain ridge and the avalanche chutes is clearly shown. Adding this contrast, you can also feel spring coming with the pink of the mountain cherry blossoms and the white of the kobushi, which is a type of a magnolia. Copyright © すきなものたち All Rights Reserved.